The majority of their fights have been decided by knockout, so it's no surprise Raymond Narh and Jadschi Green are expecting a similar ending when they fight. Narh (12-1, 11 KOs), a Ghana native now living in Sewickley Heights, faces Green (11-4-2, 9 KOs), of Paterson, N.J., for the vacant North American Boxing Council junior welterweight title in the main event of an Iron City Pro Boxing card tonight at Heinz Field. "They both have that explosive power," said Jimmy Cvetic, executive director of Iron City Pro Boxing. "One punch can end it real quick." Narh's last five fights have been decided by knockout, including his only loss, to Almazbek Raimkulov this past June in Las Vegas. Narh scored a first-round TKO of Jeff Coyle at the Octoberfist card at Heinz Field and a sixth-round KO of Rogelio Barron in Cicero, Ill., on Nov. 5. "That is exactly what I'm going to do to this guy, too," said Narh, a member of Ghana's 2000 Olympic team. "If he proves stubborn, he's going to go into a coma. I can knock you out with a left or a right. I've got power in both hands." Green's last four fights have been decided by knockout, including a loss to Ender Cherry in Tampa, Fla., last year. 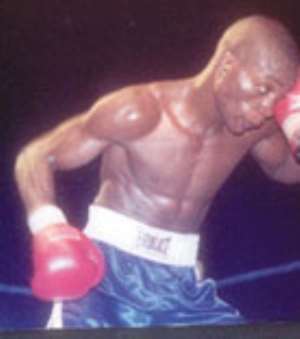 Green hasn't fought since June, when he scored an eighth-round knockout of Luis Alberto Santiago at the Blue Horizon in Philadelphia. "He also has to be aware of my power, too," Green said of Narh. "It may [end by knockout] or it may go the distance. It may be a fight or it might be a boxing match. I'm a boxer first." The card also includes a cruiserweight non-title bout between NABC champion Rayco Saunders (12-3-1) of Beltzhoover and Anthony Williams (3-3-1) of Whitesville, W.Va.
Tickets for the fight are $100 for golden ringside seats, $50 for ringside, $30 for reserved and $20 for general admission, and can be purchased at all Ticketmaster locations or at the gate.